From up on my perch on my stilts, I could see smiling faces and hear laughter ringing through the streets. I saw a community- people young and old gathered together to celebrate St. Patrick’s Day. This parade is always close to my heart ever since I started clowning around with the Portlaoise Parade March 17th, five years ago. As I handed out high fives and laughter by being who I am: a children’s entertainer, I realized that the biggest high five needed to go to the Portlaoise St. Patrick’s Day Parade committee and the businesses whose fundraising and support make it possible for this day to continue to be celebrated year after year. The committee being who they are- people passionate about the Laois community and Irish culture, won the well-deserved 1st prize in the Laois Arts, Culture and Heritage Awards. This is what makes me proud to be a part of this event, to be able to bring my passion for bringing laughter and smiles to people’s faces alongside the passion of the Laois community. Can’t wait for another great year! See you again March 17th! Photo with my new tablet. I must say that this for this gig I was wondering how the children Entertainer Jeca the clown would be clowning around in a Garda Training College. But as everyone already knew it, Jeca the clown loves challenges and has a lot of tricks up his sleeves for all those years and the gig went very well. This gig was the kind one that make me meet loads of kids and their relatives one by one and I was received by every family with a big smile in their faces and great welcome to my clown’ show. Hearing by the encharged of the events that my Show was great and everyone loved it, was a great complement to me. Yes! I hope to see you all this year again for celebrating my favorite time of the year, Christmas! Thank you very much for everyone involved in the Templemore Garda Training College 2015. Yes, Jeca the clown keep finding photos and newspaper pieces from old gigs and events from 2015. The Switching on of the Christmas lights in Portlaoise town 2015 was a great night to celebrate my favorite time of the year. Downtown Portlaoise have great plans for the Christmas period and their message is loud and clear ‘SHOP LOCAL’. Shopping local does make a huge difference to the local economy and as business people we do greatly appreciate you spending your money at home. The Downtown Portlaoise Christmas Market is organised for next Sunday, December 2. All shops will be opened for business and the Street Market brings a new dimension to the street for the people of Laois. The market starts at 11 o clock until 5 o clock and everybody welcome. We think this will be a great family day out. ave your dinner in town and soak up the atmosphere of the street festival. Choirs will be singing all day long at the steps of the Courthouse( our little market stage), the Youth Theatre will be dotted throughout the street as well as local baking, knitwear and crafts. We see this day as a coming together of all the people in Laois, the craftmakers, the bakers, the singers and working with the business people of Portlaoise to enhance the shopping experience for all our customers. This is the first year we will have a Santa Grotto at lower Main St in Portlaoise and this will be opened on a Saturday and Sunday from 12-3 approx. Santa will greet all the children who want to meet him, he will give each child a special letter from him and there will also be a photograph, all for €2.00 per family (1 photo). As children Entertainer Jeca the clown and artist I must to say that I just love Kilkenny town, it is a town that breathe arts and motivate me in my expression arts too. I have been doing some clowning around for some birthday parties and communion celebrations but I can’t wait to get a special invitation of a local street event, street marketing or a art festival in this lovely town. The best clown in Ireland, the children entertainer Jeca the clown was called to a missing he really like it, be the main entertainer for a school event, and this time the school was the Cullohill National School in Rathdowney. It is already my second time in Cullohill town and I must say that so far I had a lot pleasure and great memories as Jeca the clown in this town, both gigs was just amazing for me. The event was a great one organized by the school about the Positive Positive mental health day and the rise up of a flag. day and the rise up of a flag. Mental health is about more than being free of mental illness such as depression, bipolar disorder, or schizophrenia. It is also about having a positive sense of wellbeing. Positive mental health allows us to enjoy life’s pleasures, believe in our own abilities, cope with the normal stresses of life, work/study productively and enjoy socialising. Positive mental health is about reaching our potential and feeling like we always have the chance to give everything our best shot. Not just feeling positive, but also getting out there in the big bad world. Positive mental health not only prevents mental ill health, it also leads to greater enjoyment and satisfaction with one’s life. Eat well, be well. A lot of what you put into your body can affect how you feel inside and out. The right food and drinks can help keep your mind hydrated, active, energetic and at optimum levels for concentration. Visit out Health Hacks page for more info on how to improve your food. Get a good night’s sleep. Most people need at least 7 hours of quality sleep to function properly; if this is causing you problems then it can affect your mood. Don’t worry though, there are a plenty of things you can work on to get better sleep. Exercise for at least 30 minutes a day. You don’t have to run 5k every day or anything, just get your heart rate going for 30 mins of activity at least 5 days a week. Walking, dancing, swimming, team sports are only a few ways you can do this. Get more inspiration on our Health Hacks page. Talk it out. Chatting about things that bother you can help reduce the problem, as they say ‘a problem halved is a problem solved’. If you’re not comfortable talking to a friend or family member, then it could be good to try a non-judgemental listening service like the Samaritans. Cut down on alcohol. Drinking booze when you’re not feeling great can make you feel worse. Alcohol is a depressant so taking a break from it or cutting down on your intake might help improve your mood. Take time out. Some people find it hard to balance life between school/college/work/socialising but it’s important to remember to take time out for yourself sometimes and do things that you enjoy. Me time can be just as vital as maintaining contact with friends and family! That is right, when you need a professional children entertainer for your party, can be for an birthday party, communion party, confirmation or for a even more special occasion like a wedding. 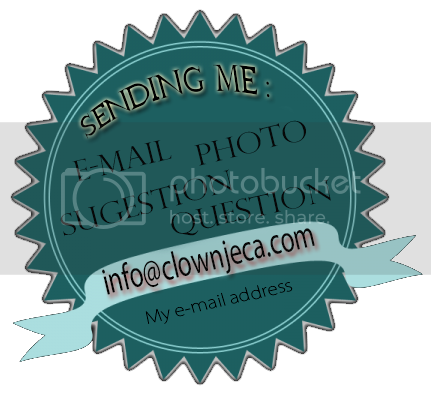 You know already that Jeca the clown is the best entertainer for your party and event. Looking for a way to make kids entertained during your special day? Jeca the clown might just be the perfect solution. Jeca will keep the kids entertained with a variety of games and activities as you and your adult guests enjoy the food and speeches. He tailors his performances to use the available space at the reception venue. what about starting talking about the pub’s name, the deadmans inn pub, I guess that was the reason they invited the children entertainer Jeca the clown for giving a bit of “life” and fun for a great birthday party, the probably know that Jeca the clown is the best children entertainer in Ireland. The place was great for my entertaining show and the staff member even better, I really like when I’m going for the first time in a venue, town o city for a birthday party or event. I just left Ballyfin with some people asking me my card and contact number for future appointments, hope hear soon from you all over there. It was my first gig on the Seven-Oaks-Hotel as children Entertainer Jeca the clown and I must to say that I was very pleased with the hotel and great staff members. The party was a massive one and they had a lot of guesses, but my long experience as the children entertaining was essential for parties like that, of course that the great space was a huge help. I must say that I love when the parents went to check if the kids was doing right and found them watching the show and enjoying as much then the kids, it is a great boost to me. If you live in Carlow town or close of it, check it out this great hotel and don’t forget to book the best children Entertainer in Ireland, yes, the Children Entertainer juice the clown. If you are going to get married in Carlow town or have a birthday party or special celebration you know already who you going to call. Clown Jeca! All the rights to this image belong to the Seven Oaks hotel. 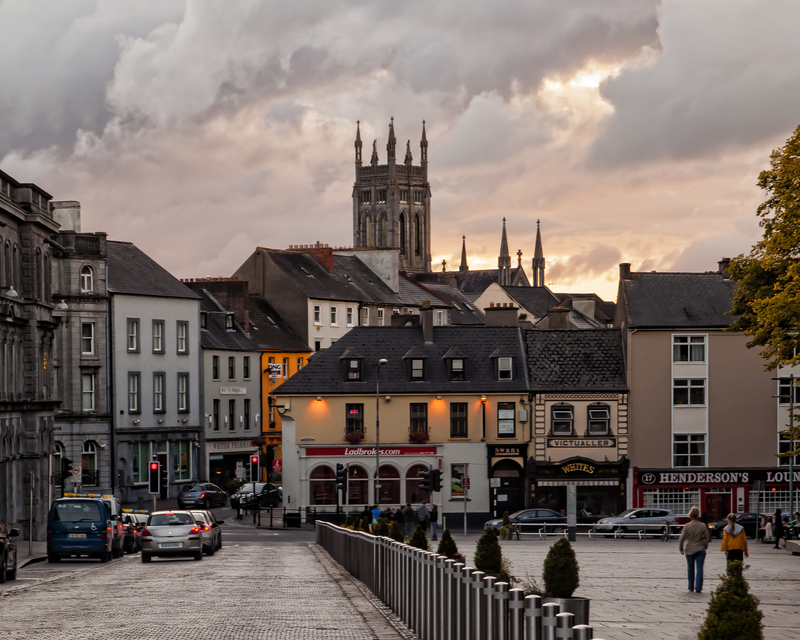 A 7-minute walk from Carlow Cathedral, this polished hotel is a 9-minute walk from the Carlow Train Station and a 10-minute walk from Carlow Castle. Traditional rooms, some with 4-poster beds, offer en suite bathrooms, free WiFi, TVs, and tea and coffee making facilities. Amenities include conference spaces and a pool, plus a fitness center with a sauna, steam room and Jacuzzi. There’s a restaurant and a hotel bar which serves a daily carvery lunch. Parking is free and babysitting services are available for a fee. Children Entertainer Jeca the clown.